Becoming a CNA is one of the most fulfilling and promising career choices today. The course for a nursing aide is only 4-6 months long, and you can become certified upon passing a certification exam. Plus, the course is fairly cheap, and there are plenty of jobs to be had for a CNA today. However, a lot of people have problems finding a good school near them when they make the decision to become a CNA. 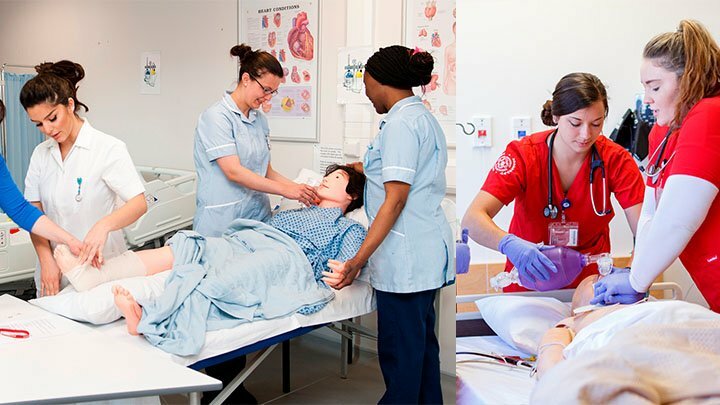 A great way to find an accredited CNA course near you, it is a good idea to visit your state’s Nursing Board, which is responsible for regulating the CNA certification exams, and so would have a list of schools that they have approved to provide the proper training that can help you pass their test. You could also visit community colleges in your area as a lot of these offer courses for continuing education programs such as CNAs. You could also find information here about other medical or nursing schools that might be in the area that offer short CNA courses. A great way to get your CNA training is through hospitals and nursing homes. Many of these offer free or very low cost training to aspiring CNAs on the condition that they work for them for a certain amount of time after completing the training. This is great as you save up on funds and can also guarantee employment upon completion. Of course, searching online for an accredited CNA course is also a great way to go. You could even complete your training with an online course, and you can find these courses through this website according to your own preferences and with the freedom to choose from a list of quality schools. With these simple steps you will have a nice variety of school and courses to choose from so you can make an informed decision depending on your personal preferences and requirements.